This set of nested tables are the perfect for the minimalist contemporary, Scandi style. Perfect for use as occasional tables and offering the choice of using as the set or on their own. 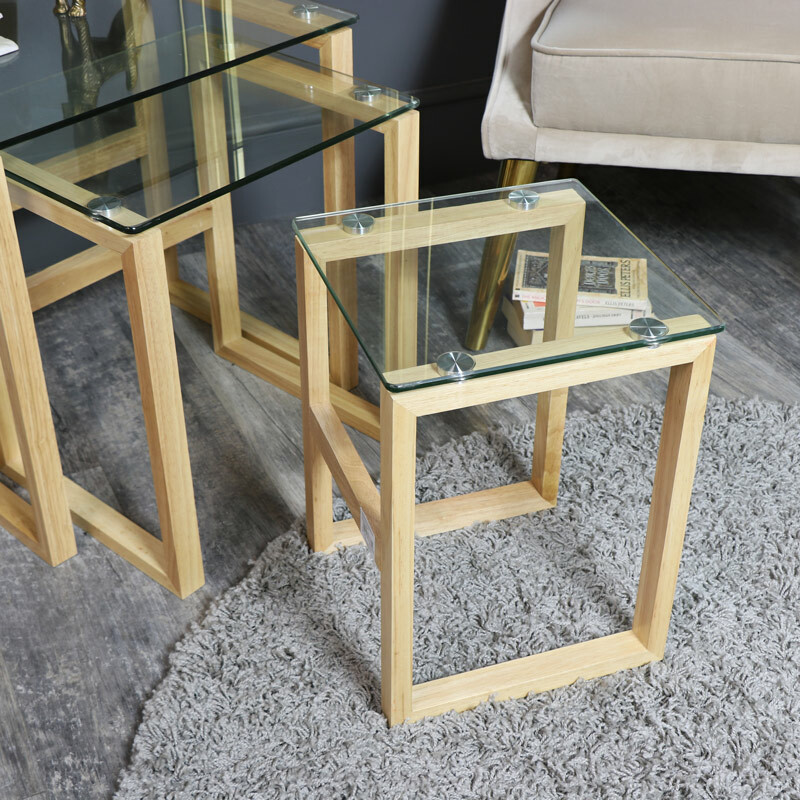 Stylish and practical with 3 tables in varying sizes with clear glass surfaces. The 2 smaller tables nestle comfortably inside the larger table for a great space saving feature. A perfect match to our glass topped coffee table. Practical and stylish, these tables are a great addition to our other nested tables. This set of nested tables are the perfect for the minimalist contemporary, Scandi style. Perfect for use as occasional tables and offering the choice of using as the set or on their own. 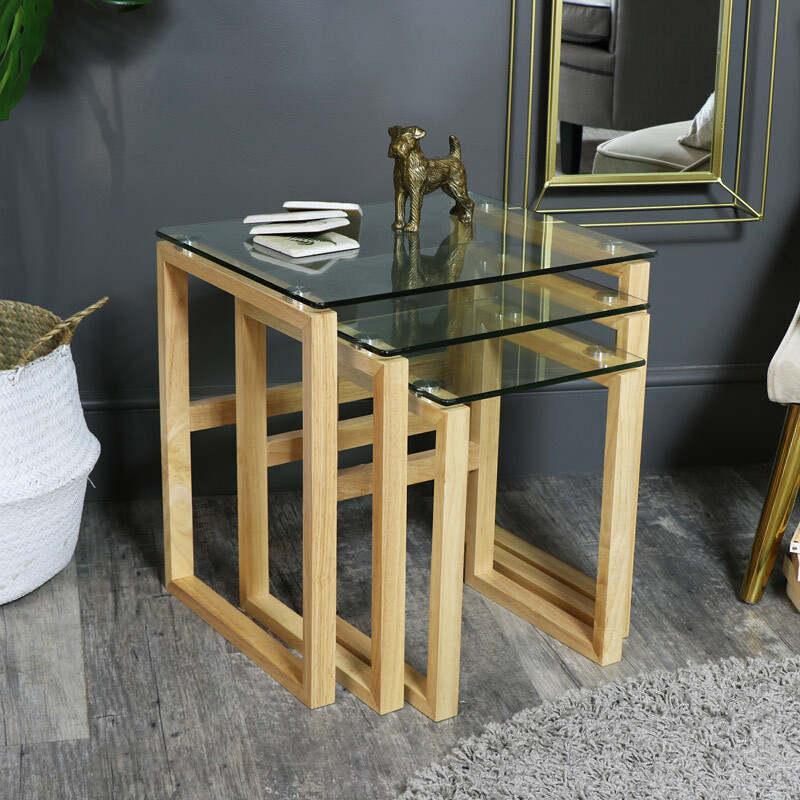 Stylish and practical with 3 tables in varying sizes with clear glass surfaces. The 2 smaller tables nestle comfortably inside the larger table for a great space saving feature. A perfect match to our glass topped coffee table. Practical and stylish, these tables are a great addition to our other nested tables. Each table is constructed with a clear glass table top that sits upon oak wood legs. We have a broad selection of side tables, occasional tables and of course nested tables. Offering a great choice of styles and colours, some with mathcing furniture ranges. This item requires the legs to be attached. 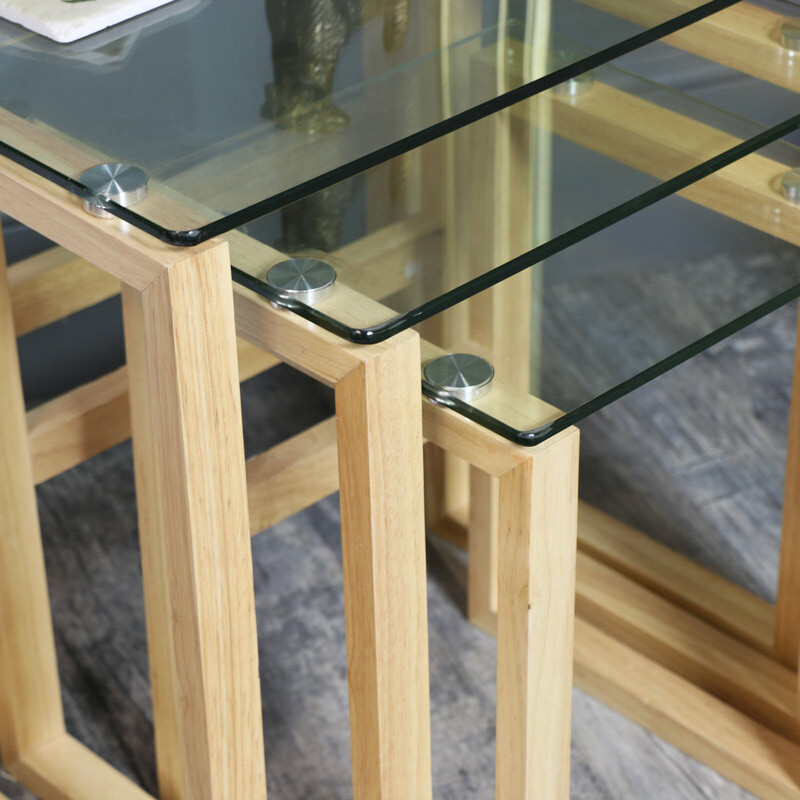 The main colour of this table would be described as a natural wood colour with transparent top. 1-3 working days to mainland UK addresses.